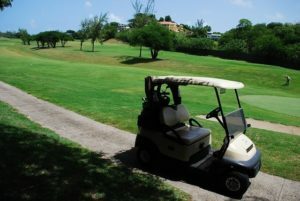 Golfing is a boundless sport that allows exercise, the great outdoors, small vehicles, and alcohol to all mix together. We get why people love to golf so much, beyond the knickers and hats. It’s the golf carts and their adorable way of making us forget they are still motorized vehicles. That cuteness may also drive us to forget how possible a Virginia DUI can be. A Virginia DUI on a golf cart can mean you need an ignition interlock device on your regular vehicle. Intoxicated golfers are a very real concern, with DUI charges filed frequently enough to inspire satirical stories about a DUI checkpoint on a Virginia golf course. All joking aside, Virginia has strict DUI laws that include golf carts, as well as tractors, four-wheelers, mopeds and any vehicle that is used to transport people or property. Virginia DUI offenders are required to enroll in the Virginia Alcohol Safety Action Program (VASAP), even for a first-time offense. If that first Virginia DUI occurs on a golf cart, the offender must still complete the program, which includes a mandatory ignition interlock requirement… on the offender’s street legal vehicle(s). The average speed of a golf cart is 12 miles per hour, but at that speed we can still do damage to property or people, especially when alcohol is involved. When out on the back nine, remember that driving under the influence is still a crime, if the driving refers to vehicles and not golf balls. It may be par for the course to toss back a few beers on the back nine. Just remember that no matter how much better your game may seem when you are under the influence of a good time, you could be putting yourself in danger. Hundreds of people are injured in DUI accidents each year, on vehicles that seem innocuous at best. Keeping the sport in golf means we exercise care and caution behind the wheel, not just our driving skills on the course. Shocking DUI: Drunk Driving on a Horse? In rural areas, the law of the land may include farm animals, especially those that help us humans get our jobs done. However, we are all still expected to be responsible when driving or piloting a vehicle, and in Kentucky, the definition of a vehicle includes livestock. 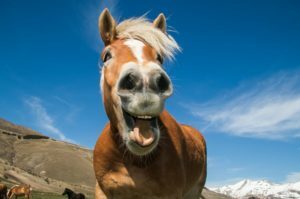 While this is not the first time we have read a news story about drunk driving on a horse, it definitely led to some interesting animal and alcohol intoxication conclusions. To clarify, not all states consider drunk driving on a horse to be a crime. However, rumor has it that most horses are not too happy to have an intoxicated rider on their backs. Also, it is possible to also be charged with animal cruelty under those circumstances. Some would say that horses are not the only animals in danger of being driven (or ridden) under the influence of alcohol. Maybe you do not own or have access to a horse, but you have a donkey or a mule. In those states that see any object (alive or inanimate) as a vehicle once it begins to transport people or property, you can probably get in trouble for drunk driving on a mule or a donkey… or a horse. That rule would likely apply to giraffes, elephants, bison, or any other large animals we rely on for work purposes. On top of a criminal charge for drunk driving on a horse or other animal, there is potential for the same penalties to apply as those that stem from a motor vehicle DUI. That includes possible jail time, community service, court costs and fees, and a possible ignition interlock device. One caveat: you cannot install an ignition interlock device on an animal. Don’t be that person. When gauging whether we are too drunk to drive a car or truck after a few drinks, the same care and consideration should be given to our trusty steeds and favorite quadrupeds. If you only drive sober, you take the guesswork out of any type of DUI, whether via your own vehicle, a donkey or other means of transportation. A Texas DWI on a Roller Coaster? Texas DWI laws do not allow much freedom after a conviction, even for first-time offenders. Any Texas DWI means that you will face a minimum jail requirement, steep fines, community service and an ignition interlock requirement. First-time offenders now have the option to install the device, as well, a fairly recent luxury that allows a bit more freedom than waiting out a suspended or restricted license. However, there are plenty of other ways to hurt yourself when you’re intoxicated, not to mention others around you. A quick search through the Texas DWI code brings up a law that addresses the problem of intoxicated people operating amusement rides or constructing them at carnivals. So, yes, there are laws against intoxicated roller coaster shenanigans that in Texas, and it is a good thing, too. Anyone who puts together a carnival roller coaster or other amusement rides is responsible for the safety of those who will ride the rides. If the person in charge has been drinking, they are essentially putting together and/or running a vehicle for disaster. 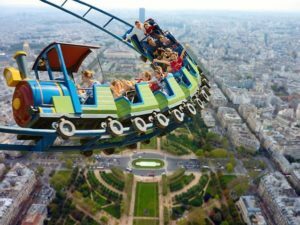 In Texas, even just running the roller coaster or other amusement park ride falls under the same Texas DWI statute, because when you push the “go” button, you are the driver of the roller coaster or amusement ride. The legal consequences are different than a Texas DWI in a motor vehicle, but the danger is pretty similar. If you are caught operating or assembling an amusement ride while intoxicated, you’re going to face some criminal troubles of your own. Operating machinery, whether a car, construction equipment or an amusement park ride while intoxicated isn’t much different than a DWI and the risk to people who are trusting your judgment is obvious. Nobody wants an intoxicated person to be in charge of their safety, and once a person is strapped in and locked down to a ride, their fate is quite literally your hands.